WEBINAR: Recovery Narrative - Connecting Lived Experience and Mental Health Competencies - Canadian Association of Schools of Nursing / Association canadienne des écoles de sciences infirmières (CASN / ACESI). Summary: The CASN Mental Health Interest Group is pleased to present the webinar: The Recovery Narrative Assignment: Connecting Lived Experience and the Undergraduate Mental Health Competencies. This free webinar will be of particular interest to anyone working in the Canadian healthcare system, educators who cover mental health issues in their courses or clinical placements, and students. Dr. Arlene Kent-Wilkinson is an Associate Professor, College of Nursing, University of Saskatchewan, Saskatoon, SK. 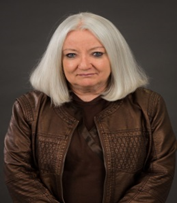 Arlene has over 30 years of clinical experience, in emergency, forensic psychiatric mental health, acute care psychiatry, corrections and addictions nursing prior to her faculty position. Arlene has developed and taught many online and classroom courses in the areas of forensic nursing, Aboriginal health and mental health nursing and has been recognized internationally for her pioneering work in forensic nursing education. Arlene is an Executive member of the Forensic Research Centre at the University of Saskatchewan, and Chair of the Citizen’s Advisory Committee (CAC) for the Regional Psych Centre (RPC) and Saskatoon Parole for Corrections Service Canada (CSC); and member of the planning committee for the 15th biennial Care and Custody International Conference. 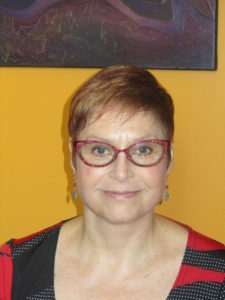 Dr. Kent-Wilkinson is an active Board member on the Canadian Federation of Mental Health Nurses (CFMHN), chair of the CFMHN Education Committee, and member of the CFMHN Finance committee. 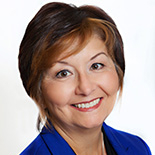 Arlene was the lead author on the following CFMHN documents: CFMHN’s (2016) 3rd position paper and statement: Mental health and addiction curriculum in undergraduate nursing education in Canada; and a contributing author on: Canadian Association of Schools of Nursing (CASN) & CFMHN’s (2015). Entry-to-practice mental health and addiction competencies for undergraduate nursing education. Ms. Karpa is a Registered Psychiatric Nurse, with a Master’s degree in Marriage and Family Therapy. Ms. Karpa has over 25 years of clinical experience and for the last 12 years has been a full time faculty member at the Winnipeg campus of the Psychiatric Nursing Program through Brandon University, Manitoba, Canada. Ms. Karpa`s current program of research includes: teaching reflective practice; ambiguous loss experiences; stigma reduction; and family psychiatric nursing practices. Ms. Karpa is currently enrolled in the Applied Health Sciences PhD program at the University of Manitoba, Winnipeg, Manitoba, Canada. Her doctoral dissertation is on “families’ experiences living with acquired brain injury”.